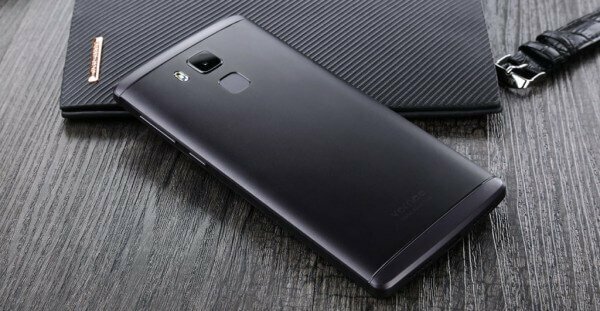 Vernee Apollo Lite: Chinese smartphone market is famous for producing low-priced smartphones. Today, I’m here with one more Chinese-branded smartphone, Vernee Apollo Lite. We have heard many high-end Vernee Apollo Lite specs. So, let’s read further to know whether the high-end specs are real. In this Vernee Apollo Lite review, we will start with the display features. The smartphone comes with a 5.5-inch 1080p IPS display. The resolution is 1920 x 1080 pixels. The brightness of the screen doesn’t effect in sunlight. The phone screen is easily visible in the sunlight. It features aluminum exterior which is not unusual. 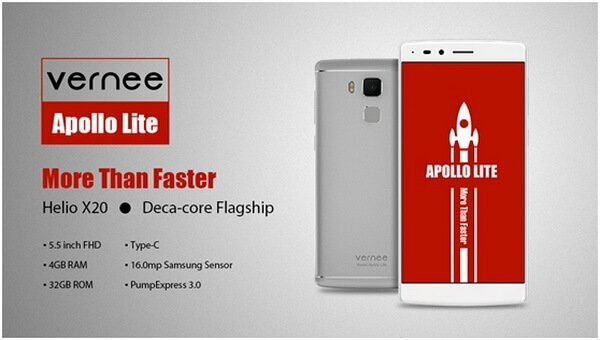 Vernee Apollo Lite packs an MTK6797 Helio X20 Deca-Core processor along with Mali T880 GPU. The smartphone features 4GB of RAM and 32GB of internal storage which can be expanded up to 128GB via micro SD card. It included four cores which enable the users to perform multitasking. You can play high-end games for long. You can also listen to your favorite songs for unlimited time. The phone runs on Android 6.0 Marshmallow OS. The fingerprint scanner is very famous these days. The phone has a fingerprint scanner. Although, this feature is not perfect in Apollo Lite. The speaker is found on the base of the phone and near the USB-C port. You can also prefer the headphone jack for listening music. Apollo Lite has a non-removable 3180mAh battery which is great. The battery has the long lasting feature so, you don’t have to charge at short intervals. Now about the camera, the rear camera is 16.0MP with flashlight and AF features. The camera supports 4K Video recording and f/2.0 aperture. Some of the camera features are Anti-Shake, Face Beauty, Face Detection and HDR features. The smartphone contains 5.0MP selfie camera sensor. The sensors options are Accelerometer, Ambient Light Sensor, Geomagnetic Sensor, Gravity Sensor, Gyroscope, Hall Sensor and Proximity Sensor. The wireless connectivity options are 3G, 4G, Bluetooth, GPS, GSM, and WiFi. If you want to buy this smartphone at a discounted price then visit Gearbest. The price mentioned on the website is $157.99, but you can use the coupon code ‘Lite4GR’ to buy at a great discounted price. By applying the coupon code, you can get the phone just at $149.99. Here is the awesome article you have written about Artifical intelligence. I noticed Google is planning the AI that has been made as Andrew. There are lots of Andrews but I don’t understand that Andrew this post from edgylabs pointing to. But it looks amazing article and I’ve learned a lot.